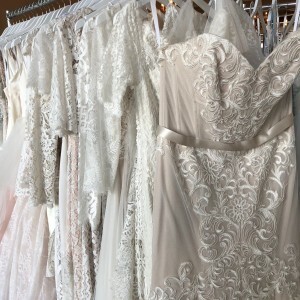 New BHLDN samples available at Portland boutique! New arrivals to the Portland boutique! Sample dresses donated from our friends at BHLDN! Tadashi Shoji, Watters and WTOO are just a few of the designers now available in this large donation! Email sales@bridesforacause.com for more information or stop into our boutique any time to shop these looks!